Keeping your garden lively can be tricky, especially as the seasons change. At this time of year, summer annuals are dying off, insects are eating your veggies, and wildlife sightings may be dwindling in your very own yard. Even though weather conditions are getting colder, have no fear; you can create life in your garden without expending a drop of water! To animate your patio, porch, or pathway garden, make yard art that rocks. With painted stones, your options for a lively landscape are limitless. Wish you could see more animals in the backyard? Paint a native turtle or frog on a pebble, and place him comfortably in your dormant flowerbed. Is it too cold for your koi fish in the pond? Devise an optical illusion and paint a rock to plop into your fountain for a realistic effect. Do you prefer pansies year round? Try arranging a few of your pretty painted gems in an outdoor planter pot! Don’t have a green thumb, but want to enjoy plants indoors? Paint a series of no-maintenance stone cacti to display as windowsill decor or a table centerpiece. The videos below can guide you through the water-less process of growing a new cactus. Try transferable images! This simple procedure produces results that your friends and neighbors will be raving about all year long. 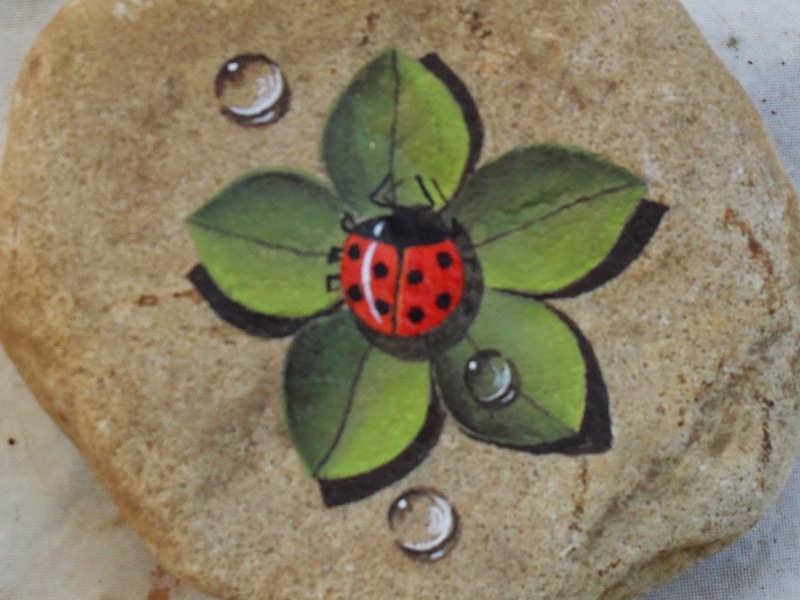 You’ll need to make a trip to the craft store to pick up your choice of transferable images, as well as a clear coat paint to secure the illustration onto your flat rock. And the best part is….no water necessary! Think outside of the watering can! Spruce up your garden with some of the examples above and let your creative juices flow by taking a glimpse at my Pinterest board below. Before you know it, your garden will have a themed set of painted pebbles for every month! Just remember: Bringing life to the garden doesn’t always require water. This week’s blog was written by WCO intern, Emily Bilcik. This entry was posted in Gardening and tagged garden, painting rocks, yard art. Bookmark the permalink.